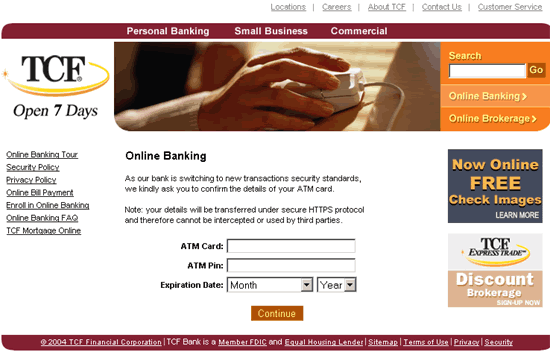 TCF Express Checking Card Information!
" Dear valued TCF Express customer. We ask you to confirm immediately of your parity the debit account to given e-mail."